Feelnumb.com has been asked this question a few times. 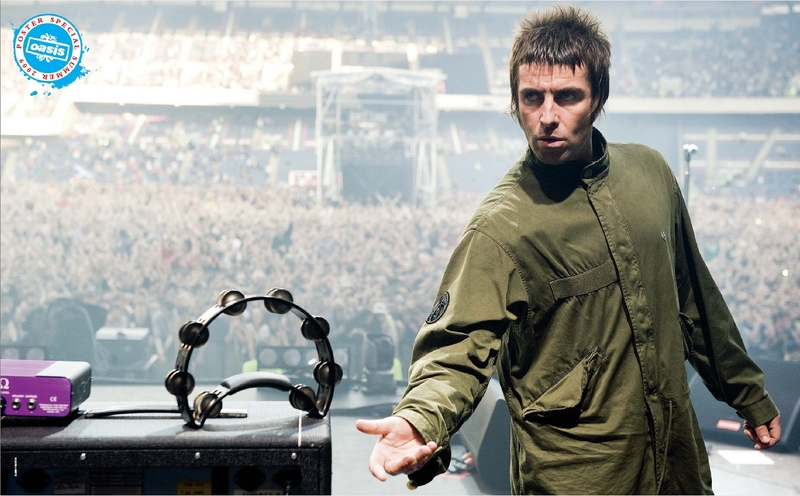 What Tambourine does Liam Gallagher use on stage during Oasis concerts? 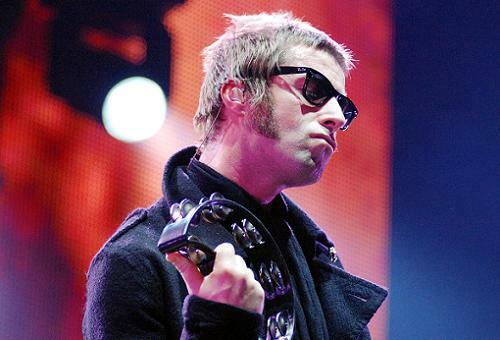 Answer: Liam uses a Rhythm Tech (model #RT 1010) Half-Moon Tambourine Black with Nickel Jingles. 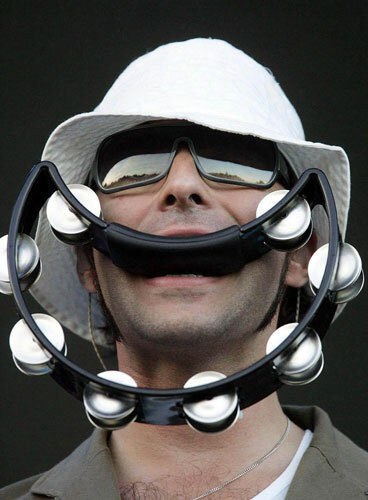 The Tambourine sells for $44.00. 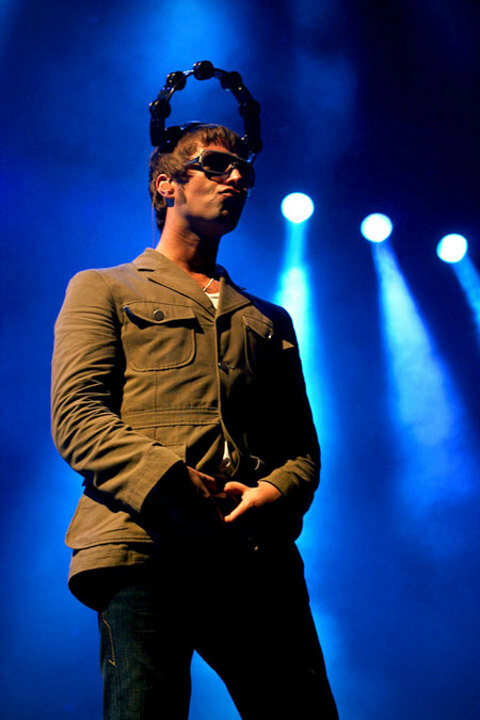 A feelnumb.com reader Jaime Rutt sent us this picture with her Rhythm Tech Tambourine on her head like Liam. She actually said it was pretty easy. Thanks Jaime. But ahm…where did you get it? online?…where?. Thanks!.